An avid kayaker and hiker, John Lane currently serves as Associate Professor of English and Environmental Studies and Director of the Goodall Center of Environmental Studies at Wofford College in Spartanburg, S.C. Lane’s books include Waist Deep in Black Water, The Woods Stretched for Miles and Chattooga, inspired by one of the only major free-flowing southern Appalachian rivers and the setting for James Dickey’s film-inspiring novel Deliverance. 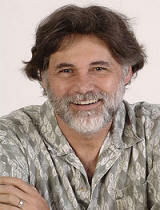 His writing is also published in journals including Southern Review, Orion and American Whitewater. His most recent book, entitled Circling Home, celebrates a one-mile radius around the environmentally friendly house Lane and his wife recently built upon his return to his hometown. He discovers that the area, traced with a saucer on a topographic map, contains an archaeological site dating back eight thousand years, the graves of British soldiers killed in the Revolutionary War, a sewage treatment facility and ruins of cotton plantations abutting modern residential developments and a country club. His Papers, 1917-2013 contains drafts of his published material, not including My Paddle to the Sea. It has 8 boxes of correspondence, with over 30 years of correspondence with former U.S. Poet Laureate Donald Hall. There is a great deal of teaching material, including chapbooks students in Lane's creative writing classes wrote, designed, and printed. Lane, John. My Paddle to the Sea. Athens: University of Georgia, 2011. Lane, John. Abandoned Quarry: New and Selected Poems. Macon: Mercer University, 2010. Lane, John. Best of the Kudzu Telegraph. Spartanburg: Hub City 2008. Lane, John. Circling Home. Athens: University of Georgia, 2007. Lane, John. Chattooga: Descending into the Myth of Deliverance River. Athens: University of Georgia, 2004. Lane, John. Noble Trees of the South Carolina Upcountry. Spartanburg: Hub City, 2003. Lane, John. Waist Deep in Black Water. Athens: University of Georgia, 2002. Lane, John. The Woods Stretched for Miles. Athens: University of Georgia, 1999. Lane, John. Hub City Anthology. Spartanburg: Hub City, 1996. Lane, John. Against Information and Other Poems. Cullowhee: New Native Press, 1995. Lane, John. Weed Time. Charlotte, NC: Briarpatch, 1993. .
Lane, John. As the World Sleeps Around Us. Charlotte, NC: Briarpatch Press, 1992.